Last week I was honoured to attend the third instalment of "Inspired to Taste Canada", hosted on the 7th floor of the Hudson's Bay Queen St. 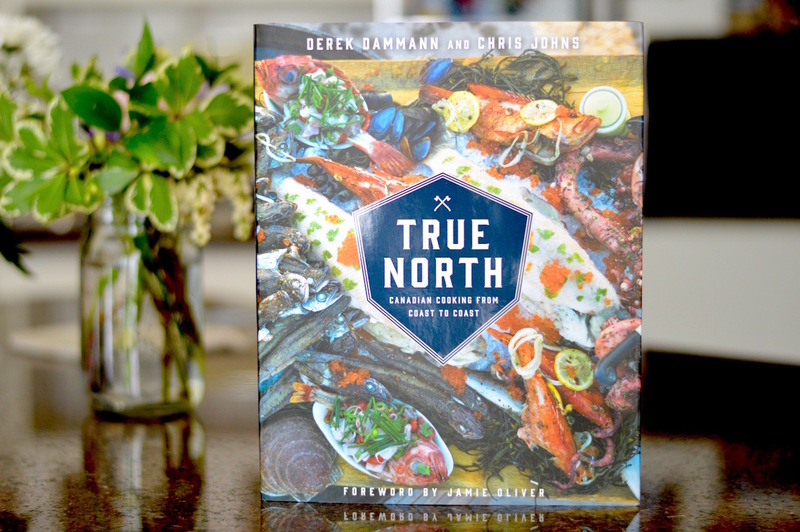 This event featured top chef Derek Dammann and food writer Chris Johns, authors of the stunning cookbook "True North". 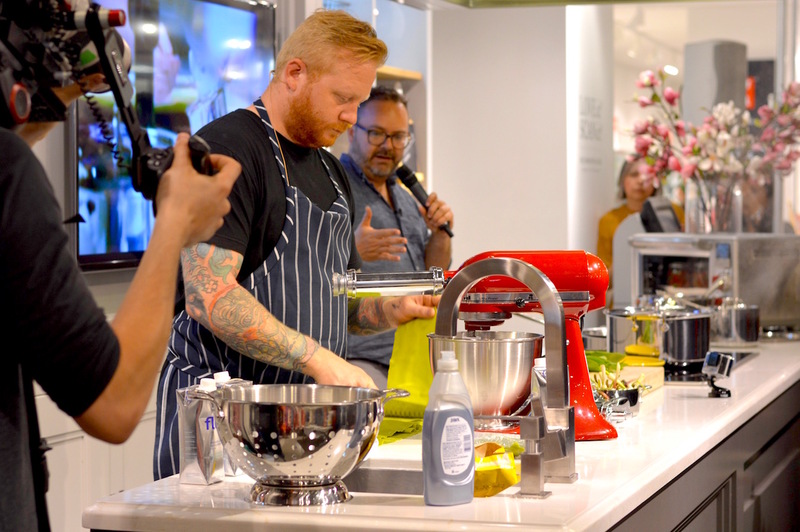 The series of events organized by Taste Canada brought together astounding cookbooks and wonderful brands, like Healthy Crunch Kale Chips, Godiva, All Clad, Flow Water, and Canadian Whiskey (Gooderham and Warts & Lot No. 40). As a blogger, I received a beautiful swag bag from The Bay which included a personally signed copy of True North. 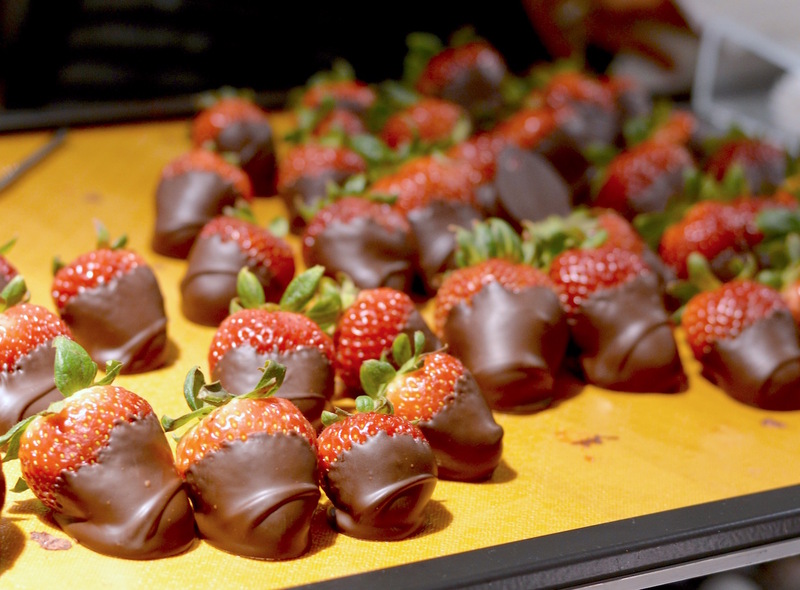 Fresh chocolate dipped strawberries at the Godiva counter... yes. 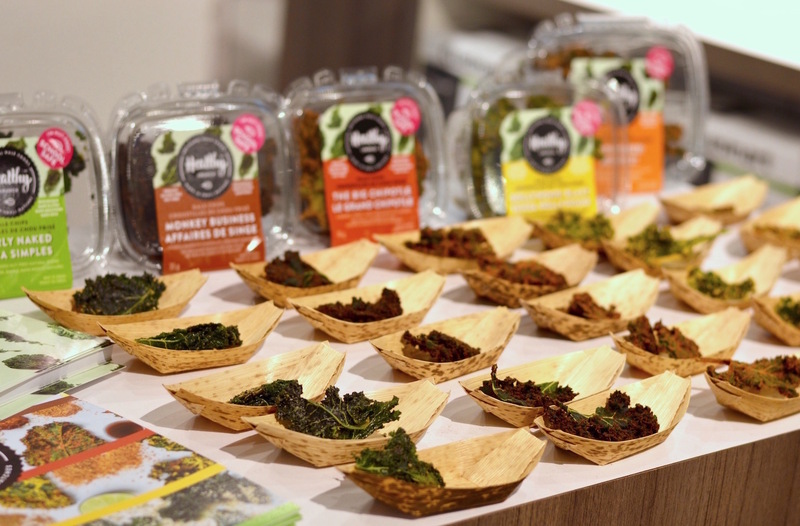 A delicious array of kale chips from Healthy Crunch! I really enjoyed the chocolate ones, and the vegan cheese flavour. At the event, Derek Dammann cooked up the Wild Garlic Pasta and Cod à la Neige, a flaky and fresh fish coated in a creamy lemony sauce. I absolutely loved being able to taste the recipes, since it made me so excited to crack open my book and get some foodspiration. Derek Dammann and Jaimie Oliver’s restaurant, Maison Publique, is located in Montreal. I decided to sport a French Connection silk tank, some Old Navy red jeans, a vintage necklace, my favourite bright white Keds and a grey leather Banana Republic handbag. How cute are these Kate Spade mugs? Love! 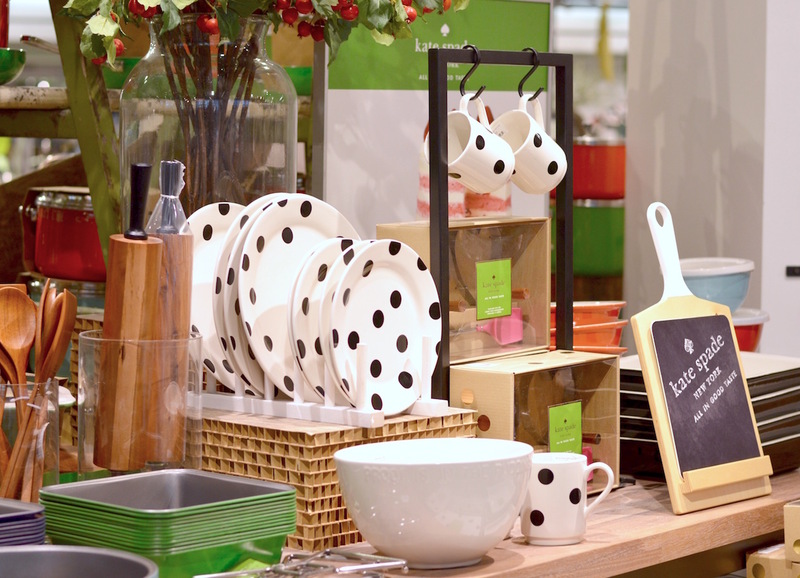 The Kate Spade kitchen items are so fun, I can't stop taking pictures of the displays. 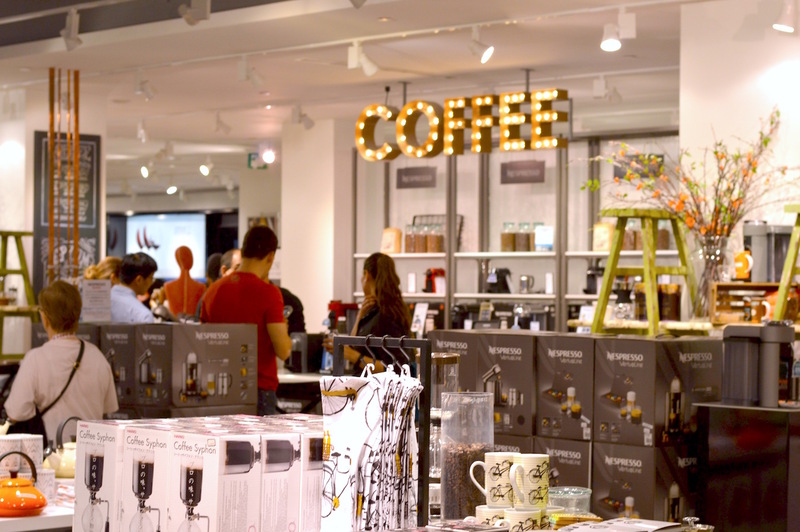 The whole 7th floor organization is so aesthetically pleasing, brands are clearly laid out with really fun Marquee signs labelling the "Tools" or "Coffee" sections. 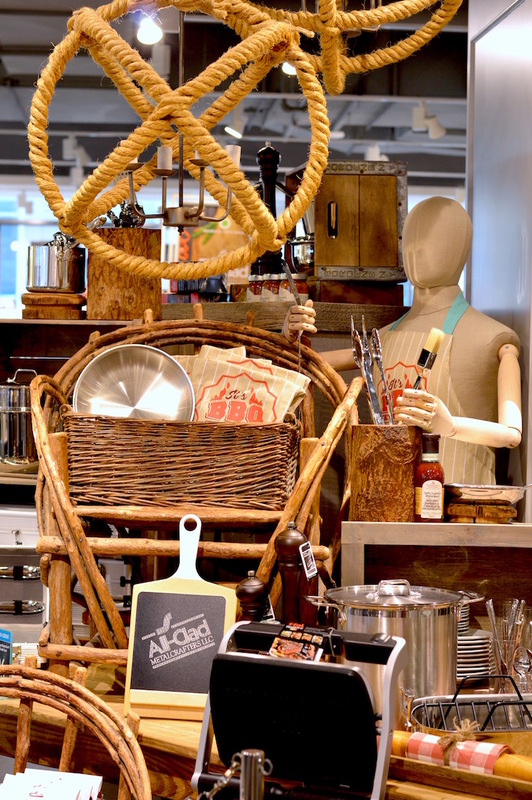 The design makes shopping for a gift registry or a new house relaxing and enjoyable. I can't wait to attempt some of the breathtaking dishes featured in this cookbook. The Taste Canada food writers awards night will happen in November 2016, so be sure to follow along on Instagram and Twitter to get tickets and satisfy your inner foodie. Really those dishes are amazing!! Love your pant soo much!